Our desire to discover who we are – why we feel and act the ways we do – is what leads us to a meaningful and vital existence. 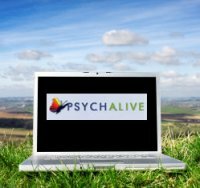 PsychAlive was created to assist you in this personal journey by providing a place where people can learn to take an active, introspective approach to their lives. The articles, blogs, videos, quizzes and interactive workshops featured on PsychAlive introduce visitors to sound psychological principles and practices, while offering an insightful means of coping with life’s everyday problems. The tools available on PsychAlive are designed to help people understand the emotional dynamics that operate within us and the limitations that restrict us in our daily lives. By helping us to recognize what’s at the core of our emotional struggles and to target the specific ways we limit ourselves, PsychAlive encourages us to understand and challenge the deeper issues that keep us from living a life that is as joyful, rewarding and meaningful as it could be. PsychAlive draws on the contribution of leading psychology experts who specialize in a broad spectrum of subjects related to our emotional well-being. The information on PsychAlive is derived from the research of the Glendon Association, a non-profit psychology organization with 30 years experience studying the roots of many of peoples’ most prevalent emotional struggles. PsychAlive translates a solid base of psychodynamic and existential theory into terms that are understandable and applicable in everyday life. While PsychAlive is not intended as a substitute for therapy, it is designed to empower you in your mission to lead a happier life and to direct you to the help you seek or require. PsychAlive is divided into three sections: Alive to Self, Alive to Intimacy and Alive to Parenting. Each of these sections focuses on the many emotional issues that can arise as we strive to lead our lives as successful individuals, partners and parents. Do you ever wonder what your life would be like if you were free from your own self-critical thoughts? Stress? Guilt? Pressure? Mood swings? Depression? Alive to Self deals with a wide spectrum of psychological struggles, from the afflictions that have long plagued us to the daily difficulties we encounter. The information available on Alive to Self helps us to identify the sources of our emotional troubles and to recognize the ways these issues affect us in our current lives. By understanding the roots of these conflicts, we can learn to have compassion for ourselves and help put a stop to self-limiting patterns in our lives. In many cases, what goes wrong in our relationships can be traced to our own psychological adaptations and the habitual ways that we defend ourselves. What are these defenses and why do they exist? Where did they originate and how can we overcome them? In posing these questions, most of us can uncover long-held negative beliefs and attitudes about ourselves and those we love, that interfere with us enjoying a loving relationship. 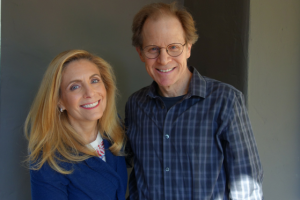 Alive to Intimacy helps us uncover the psychological explanation for why we act the ways we do in our closest relationships. Questioning our actions, recognizing the sources of our fears and separating from self-destructive tendencies are perhaps the most vital steps to achieving true intimacy. The ways we were hurt as children have a direct influence on us as parents. Even those of us who received the optimal care are victims of the emotional conflicts and shortcomings that simply come from our parents being human. To be the best parents we can, it is helpful to look to our own childhoods. It is also necessary to look at ourselves as parents, pinpoint our own limitations and reactions and learn how to approach our children as individuals, independent from ourselves. Alive to Parenting helps parents make sense of our and our children’s experiences. Getting to know ourselves and our children on a deeper level gives us a much better chance of offering the most sincere form of care and love that we are able to provide.